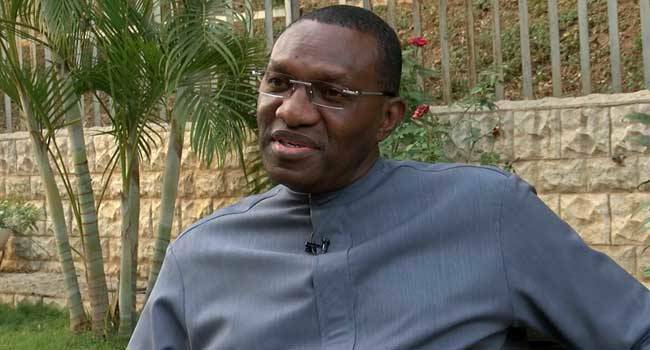 We must end the hunger in Nigeria – Andy Uba – Royal Times of Nigeria. The Senator representing Anambra South in the upper legislative chamber has called for concerted effort to end the hunger in Nigeria. Uba, a governorship aspirant in the forth coming Anambra state election disclosed this when he dined with thousands of his people in Anambra at an event sponsored by the senator. With particular reference to Anambra state, Senator Uba said that economic hardship in the country has left many in the state hungry. Uba who recently picked his nomination form for the state Guber under the platform of the All Progressives Congress said that he would always identify with his people. He said that if he secured the mandate, he would ensure hunger is eradicated, not by feeding the people but by empowering the people to feed themselves. “I believe in helping my people and you cannot help a man if you do not know what his problems are and how he feels, that is why from time to time I come down to my people to take care of their well being. “There is so much hunger in the country, people are suffering. No money! No food! “It gives me joy to feed these thousands of people here today, it is my way of showing that I care. “If given the mandate to be their governor, my government will be a government that is based on the people,” he said. He promised to empower the people through skills acquisition and expansion of the economy of the state adding that the education system would be revamp to cater for all. Some of those who participated in the feeding programme thanked the governor-hopeful for his ‘usual’ gesture. Among those who were fed were children, students and persons living with disabilities.